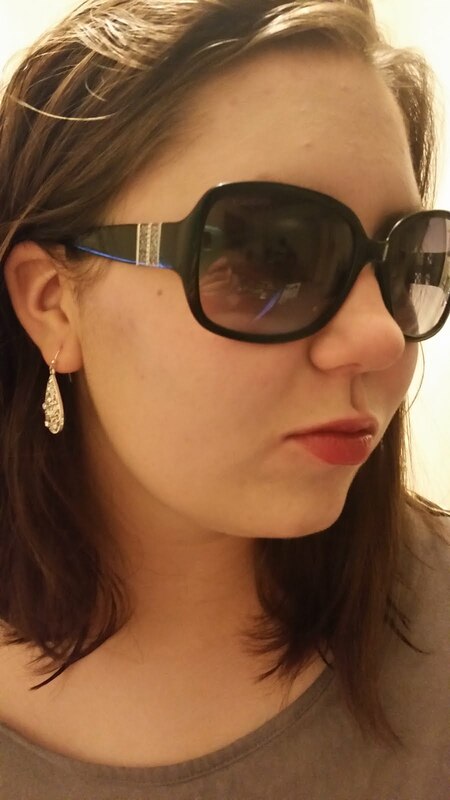 Disclosure: I received these Bebe sunglasses in exchange for my honest review. Looking for new glasses or sunglasses? Visionworks has you covered ALL YEAR LONG! I received this pair of Bebe sunglasses and I am in awe of their beauty and sophistication. When I step out with these sunnies on, I feel like a million bucks. 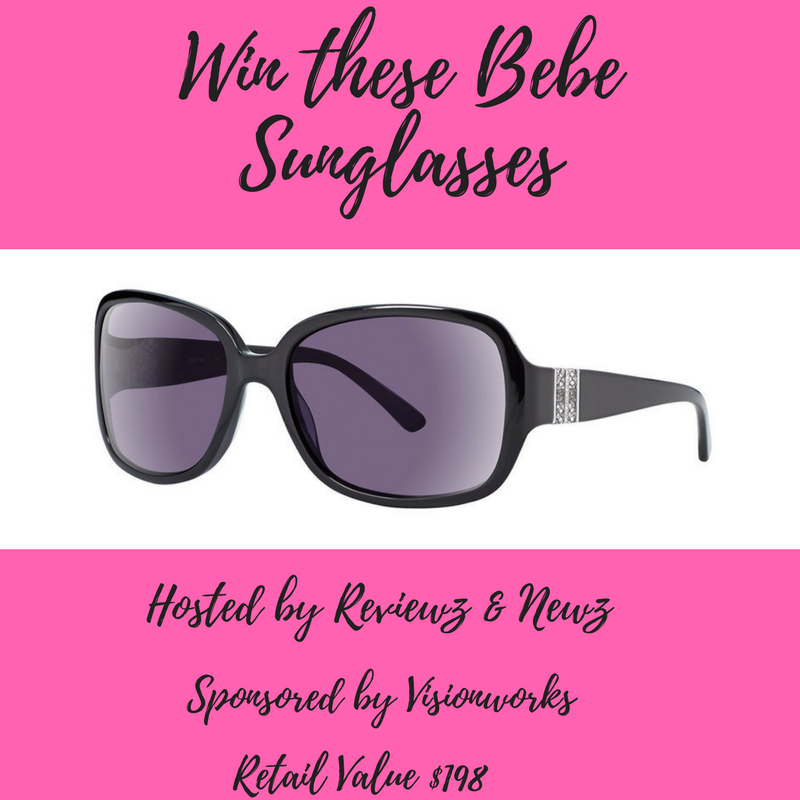 Making a fashion statement could never be easier that putting on these Bebe's from Visionworks! Not only are you protecting your eyes, you look good doing it. These big, glossy black sunglasses by Bebe offer subtle sophistication. Temples feature a woven lattice design encased in crystal clear acrylic. 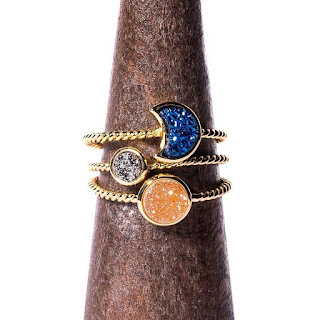 A row of micro jewel stones twinkle on the temples. Many thanks to the Mommy Island and the Kids Did it! Click on each link below to enter a giveaway valued at $50 or more. I really like the Vera Bradley VB CHARLENE. I like the style. i love the candies ca 1003. remind me of the pair i had in my teens. I like the classic and simple look of the Dragon Black DR512S COUNT. My favorite pair is the Swarovski Black SK 0110. I love how they sparkle on the sides! I love the Guess by Marciano black sunglasses because I love the flare to the frame! I like the Columbia Black RIDGESTONE because they are simple. I like The Anne Klein AK 7031, very classy and stylish! I like the Guess by Marciano Black GM 711, looks classy. I like Vera Bradley in Izzy. My favorite pair of sunglasses are the DVF Tortoise Kristen because I love the shape/color. My favorite pair of sunglasses are the DVF Tortoise Kristen because I like the shape/color. I love the Candies CA 1003 because the color is cool. I love the Vera Bradley Anna. Such a pretty color and style. I like their Ray-Ban Tortoise. I love tortoise colored frames. I really like the Brown WP 0002 style. I like the shape of the glasses and I always like something on the side of my sunglasses. Thanks for the super giveaway opportunity. I like the Anne Klein Tortoise AK 7031 because they have a classic look and would go nice with my coloring. I like the Guess by Marciano black sunglasses, lovely frame. I love the Diane von Furstenberg 592S FAITH in the Tortoise color! I like the Guess by Marciano Black GM 711. I love the ninewest retro glasses, because these are very popular right now. I love the DVF Tortoise DVF 618S MARIA sunglasses. I love the shape and the tortoise frames. The Swarovski SK 0083 is my favorite. I love the style and color and it is the best shape for my face. I like Bebe Black BB 7134 sunglasses best. They are classic and stylish all in one. Love them. The Kate Spade Danella sunglasses are so nice. I would wear them! I love these Candies Peach CA 1003 so cute. My favorite are Ray-Ban Tortoise RB 2132(619171). They're a classic and I like tortoise shell design. I like the Bebe Jet BB 7164 because they look stylish! I like to have a pair of aviators because I like the shape of them on my face. I like the Nine West Tortoise NW566S. They look so nice!! I like the Ray-Ban Tortoise RB 4101. They look classy. I would probably choose the Vera Bradley VB ADRIAN. I like the aviator look and the design too. I love the Peach Candies pair! I want the Bebe Jet BB 7164 . I like the Anne Klein 7031 progressives. That style fits the shape of my face well. I like the Anne Klein Tortoise AK 7031...the frames are pretty. My favorite are the Vera Bradley Anna style. I like the Ray-Ban RB 2132! My favorite pair if glasses is the Columbia Black RIDGESTONE. I really like these best as they are plan and classic. My favorite pair are the Vera Bradley Black VB LORI sunglasses because I llike the pattern on the side. I like the Anne Klein Tortoise AK 7017 because I like the color and shape of the lenses. I like the Nine West Tortoise NW566S because I like the color. I like the VB Charlene because pink is my favorite color. I like the Bebe Tortoise BB 7180, it's the style and color that looks best on me and it has a little bit of bling. I've always wanted a pair of raybans! I would like to get my son for Christmas the Nike 7091s. He would love them. I like the Candies CA 1003 in Peach. I really love the color! so many nice frames..i like the guess..and vera Bradley sunglasses. My favorite frames are these! My favorite pair is the https://www.visionworks.com/eyeglasses/womens/ray-ban/rb-2132/sku640190. They just look great! I like the Kate Spade AKIRA/PS sunglasses! I really like the gold name plate and the seaspray green/blue color to complement the tortoise. It looks kind of beachy. thank you! My favorite is the Bebe Black BB 7134. I love the purple tinted lenses and the side design the most out of all the choices available for womens sunglasses. I LOVE the Candies Peach CA 1003! I want them so bad, they are adorable! Nike Matte Black VOLITION EVO879 I think they are very stylish and I can wear them with a lot of outfits. I love the Kate Spade Black ANGELIQS, because they're really cute! I had no idea that Visionworks had so many cute sunglasses. I like several, one of my favorites is Bebe tortoise. The little jewels are pretty, and I like the color. I like the Bebe BB 7141 because the color is pretty and they would look good on me. I hope you see this - I entered the wrong Instagram name, it's @clc40832. I can't edit the rafflecopter! I like these ones because they are stylish. my favorite pair of sunglasses are the DVF Tortoise DVF598S KRISTEN! they are my favorite because they look like they would fit my face and i could rock them year round. plus the tortise color is beautiful! Harley Davidson HD0909X - ! like the wine frames ! Harley Davidson HD0909X - I like the wire frames ! I love the Vera Bradley Maxine Sunglasses. My favorite pair of sunglasses are the Calvin Klein 5931 ones. I love the blue color and the shape would be very flattering on my face. I like the Black NIKE 7092S. I think they would be great for running on the beach. I really like the Vera Bradley Tortoise VB HILLARY. I like the Bebe Black BB 5082 Style. I like the Guess by Marciano Black GM 711. I really like the shape and boldness of the frame. I love the Calvin Klein Black CK 5650. So cute. I really like the Swarovski Black SK 0110, they are so stylish and unique. I like Bebe Teal BB 7141 because it is a differnt color than usual. I have clothes that would work with it. I like DVF Teal DVF 5073 because the teal color is so pretty. I love how its mixed with a pattern. Very unique. Anne Klein AK 7017 is my choice. They are big enough to keep the sun away from my eyes; stylish and will help make me look good! My favorite pair is the Ray-Ban Matte Black RB 2132 because they look classic. I love the Candies sunglasses. I really like the coloring. i like the Vera Bradley glasses. I like the Vera Bradley Gold VB ADRIAN becausee I like the aviator style and I like the color. My favorite is the Kate Spade/AKIRA pair of sunglasses! They are beautiful! I like the tortiseshell Nine West NW566S because it's classy and I don't have anything in tortiseshell currently! Its hard to pick just one. I like the Vera Bradley Black VB LEIGH. Simple and stylish. i like the Anne Klein AK 7031. they are cute and would look good on my face shape. The Bebe Teal BB 7141 is a pretty cat eye shape in a really cool color! I really like the Ray-ban Toirteshell glasses! I really like the Vera Bradley VB MAXINE, love the way they look. I love the shape and color of Vera Bradley VB LEIGH. I like the Anne Klein Tortoise AK 7031 the best, as well as the Vera Bradley VB Maxine. I couldn't decide, because I like the general shape of them both. Thanks! Penguin EDDIE; that is my name. Nike NIKE 6037, they look cool. My favorite is the Ray-Ban Tortoise RB 4101 because they look so fancy. My favorite is the Guess Teal GU 2492 sunglasses. I like the cat eye and the multi colored frame. love the Rayban sunglasses as well, b/c they remind me of th 80s! I really liked the Ray-Ban Matte Black RB 2132.